For a more detailed Samsung i8910 HD Review, visit the link. When I got down to the last part, I did a double take. WTF?!! Symbian OS?!!! That's like Blasphemy to the Omnia's name!!!! 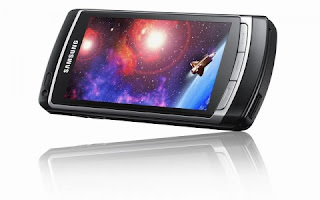 Why would Samsung go with Symbian OS when it hasn't been perfected for touchscreen phones?! They're already familiar with WinMo and sure, it has its kinks but it's way better handling touchscreen phones than Symbian OS. This is so bad. A lot of people who were lucky enough to be able to do a hands on with the Samsung i8910 at the Mobile World Congress were complaining about its unresponsiveness. If Samsung doesn't wise up, the Samsung Omnia HD might end up like the Nokia 5800--a cool device on paper but its full potential was limited by the Symbian OS. I feel sorry for Samsung and the i8910. The Omnia HD really has a lot of great features for a mobile phone. It's able to shoot 720p videos at 24fps and the OLED screen is just amazing. And with the dual speakers and 5.1 surround sound, it's like having a tiny HDTV on your mobile phone. Another thing to look forward to is the browser, which according to some reports, have the S60 OSS Browser with Safari Core so I just hope its as good as the Safari on the iPhone. Oh well, I guess Samsung's winning streak on my book has to end some time. Maybe it's HTC's time to resurrect its reputation. Check out some of the hands on video of the Samsung i8910 Omnia HD mobile phone at YouTube. Design - The Samsung i8910 is not the slimmest mobile phone around. With the 3.7 inch touch display, you have to forego slim. The device is bulky and not recommended to be pocketed. If you're a gal, better keep it in your purse and if you're a guy, buy a belt clip for it. The whole phone is a fingerprint magnet. I wish Samsung would have copied the back cover of the Omnia so as to isolate smudges on just the front. The camera lens on the back is HUGE, it's like a big wart on this mobile phone. Interface - The Samsung i8910 basically has the same OS as the Nokia 5800 XpressMusic. It was disappointing for me since I never really liked the 5800 that much. What it means is that you won't get much of the kinetic scrolling (finger swiping action). Though responsiveness has been greatly improved compared with the 5800. I only enjoyed the kinetic scrolling using Samsung TouchWiz interface. Features - Since I've already seen Samsung's AMOLED technology in action on the S8300, I wasn't expecting to be surprised by the the i8910 but the Tocco Ultra Touch only has a 2.8 inch display and the added area definitely made it seem that I'm holding a miniature HDTV. Colors are VERY vivid and pop out at you. Too bad I didn't have a sample DiVx video to try out. Sunlight legibility is still poor but again, much better compared with the Omnia. The 8 megapixel camera is up to par with the Samsung Tocco Ultra but I wish I could be able to hook up the i8910 to an HDTV to view the recorded videos. I know 720p is not much but it's still better than standard definition. Audio quality is better than on the Tocco Ultra Touch using the speakers and it's nice that the i8910 finally has a 3.5mm headset jack on the device itself and you don't have to connect Samsung's proprietary connectors to get a 3.5mm headset jack interface. The music player is definitely an improvement. I like the cover flow like interface when in landscape mode. Conclusion - Still not a fan of Symbian OS. This is definitely a gorgeous mobile phone especially multimedia-wise but I think I'll wait for the Winmo version. Check out the Sample pictures and videos taken with the i8910. The Samsung i8910 HD mobile phone is available on Orange for as low as £97.50 with a pay monthly plan. I agree, its drool worthy and a powerfull iPhone slasher. Im getting the unlokced verison from http://www.puremobile.com/Samsung/Samsung-i8910-Omnia-HD-Black-GSM-Phone--/ Does any one know the appox release date? Because WM6.5 is trash. I have heard some of the latest vids and the responsiveness is good. I used HTC phones for years, then moved to a n95 after feeling the unresponsive mda pro. Specs were excellant, let down by a bad OS. MS need to sort the gui to allow touch screen by finger and not just stylus or a very small finger. We can only see when the production model is made available. I think you're wrong putting down S60, it works rather brilliantly on the Nokia 5800... you can operate most things on the phone with one hand! Try getting anything done on windows mobile with one-handed operation. and Samsung's widget concept on the old omnia made WinMo even worse... always having to drag widgets around before being able to use them? There's unused Omnia's laying around in our office and nobody wants them, cause its too much aggravation. So for me, the only reason I'm getting this phone is that Samsung is using S60 on it. Also gets rid of WinMo's color gamut limitations. 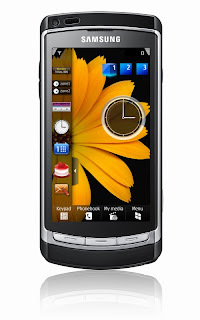 Microsoft really needs to wake up and make a windows mobile 7, and do a LOT of work on it. http://www.debrandi8910.com , Debrand Files are also provided on the website. my god! even pc windows os is crap,when it comes to mobile...god save me.. samsung i8910 hd is flagship model that is why they choose s60, s60 os may not be so good, but when compare with windows os, it is the best. HTC is already starting to come out with phone using Android instead of the usual winmo. i guess it's just time to put something new under the hood. That there be any question whether any OS is by default automatically superior to any version of Windows, is a laughable prospect! I can only believe that any defender of anything from Microsoft is a plant, hence by default untrustworthy.